Sunscreen seems to burn my face and leave my face with uneven skin tone. Am I applying it wrong? Thank you for your question. Firstly, I have to ask: “Are you using a body sunscreen on your face? 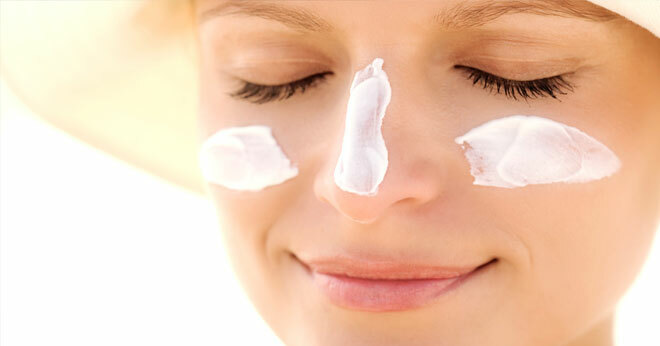 Or are you using a proper facial sunblock?” Body sunscreen does tend to be a bit too harsh for the face. Secondly, if you ARE using a facial sunblock, is it scented? Scented products also tend to sting or burn sensitive skins. Lastly, there are just some people who really do need to be extremely particular about the sunblocks they use and have to pay special attention to the active ingredients in the product, and their skins are just highly reactive; in this case you would need to come and see one of our doctors to have a look at you, analyze your skin and advise you accordingly. I hate sunscreen. I used to use it when I was younger and used to go to the beach or fishing or swimming. But now that I am no longer a tomboy, I will not use it. It is uncomfortably oily and makes me feel like my skin is pearl brown with that shine that it leaves on + you end up looking darker than when you put it on. It’s oily, sticky, and makes me feel uncomfortably dirty. I struggle with the same, but the Cetaphil sunscreen is pretty good. Whenever I use a body sunscreen on my face I break out. So I usually just make do with my spf15 foundation. I struggled to find a sunscreen to use on my sensitive acne prone skin, and I have found one that I will never again be without, Vichy sunscreen SPF 50 for the face. It’s not greasy and doesn’t block up my pores! I thought I was the only one who had greasy looking skin after using a sunblock on my face. It’s good to know I am not alone. I found that using a light-weight setting powder (a translucent one) helps control the greasy look without making my face look cakey. I also really struggle to find one that I like. Most are so greasy :( Trial and error unfortunately. Is a face cream with SPF30, for example, good enough? or do i still need to wear sunscreen? Interesting, I thought I was the only one. Interesting article, but mine leaves my face super oily. Don’t know how to beat that.